To foster an unbreakable climbing community through organized training, competition, events, and a desire to better members both in life, and climbing. Join for the year or pick your ​Season. ​Every year our goal is to bring in more people on board to create a greater community, and allow for people of all backgrounds to be involved in something active and fulfilling. ​We are proud of our organization, and we strive to spread this confidence with our future, and current members. We continue to train people, and create lasting relationships. 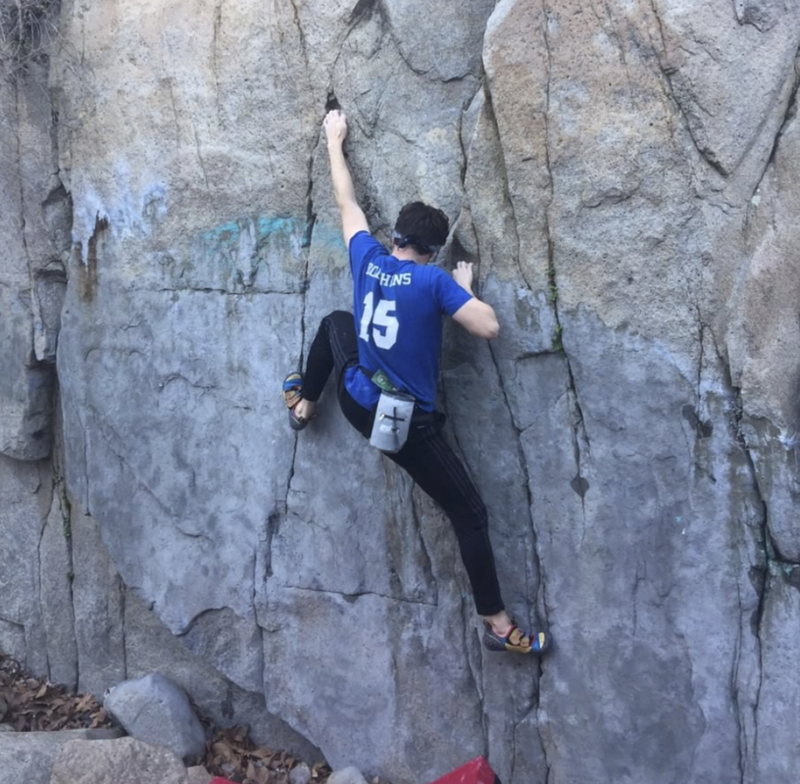 "The climbing team is an awesome way to meet new people, improve your climbing abilities, and just have a great outlet for de-stressing from school! Upon joining, I had a little experience with climbing, but I’ve gotten better than I had ever imagined! Whether you’ve climbed before or not, you’ll feel welcome and involved in both climbing and non climbing events." "When I first started climbing, it was pretty aimless for the first month. I usually climbed at night at Rocknasium, and met people on the climbing team. I slowly got more involved with the climbing team and joined. I met the fun and enthusiatic members. They completely changed the way I climb and interact with the rock. I do not regret joining the climbing club since they helped me find other like-minded climbers."